Story time made more fun with the help of a dog. GRAND LEDGE, Mich. — Story time made more fun with the help of a dog. 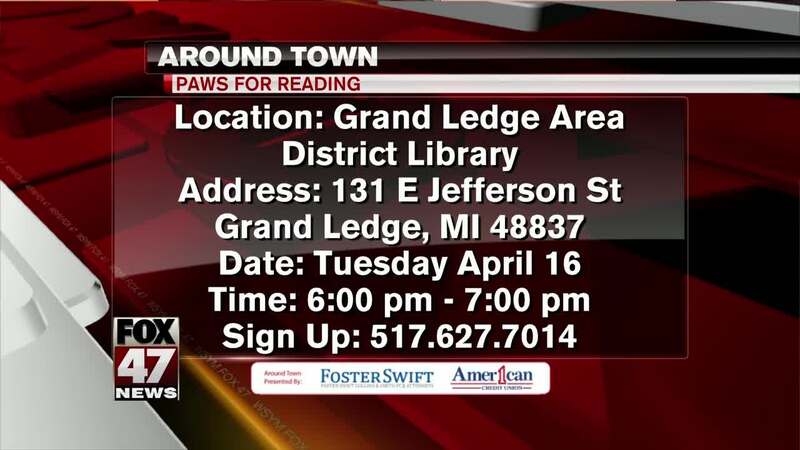 The Grand Ledge Area Distinct Library is hosting "Paws for Reading" tomorrow evening from 6 to 7pm. Guests can practice reading aloud to a certified therapy dog in a no pressure environment. You can call the library at the number on your screen to sign up for a ten minute reading time.